And GOD saw that the wickedness of man was great in the earth, and that every imagination of the thoughts of his heart was only evil continually (Genesis 6:5). And it repented the Lord that he had made man on the earth, and it grieved him at his heart. And the Lord said, I will destroy man whom I have created from the face of the earth; both man, and beast, and the creeping thing, and the fowls of the air; for it repenteth me that I have made them (Genesis 6:6-7). God commanded Noah to build an ark, giving him the size and description on how to build the arc (Genesis 6:14-16). It took Noah one hundred and twenty years to build the arc, based on Genesis 6:3. Noah took seven pairs of each kind of clean animal (Genesis 7:2-3) and one pair of each kind of other animals onto the ark (Genesis 6:19-20) 7:2-3). In Biblical terms, clean animals were those that were acceptable to be sacrificed. Noah needed more than one pair of clean animals for sacrifice after the flood (Genesis 8:20). Which sometime were disobedient, when once the longsuffering of God waited in the days of Noah, while the ark was a preparing, wherein few, that is, eight souls were saved by water (1 Peter 3:20). 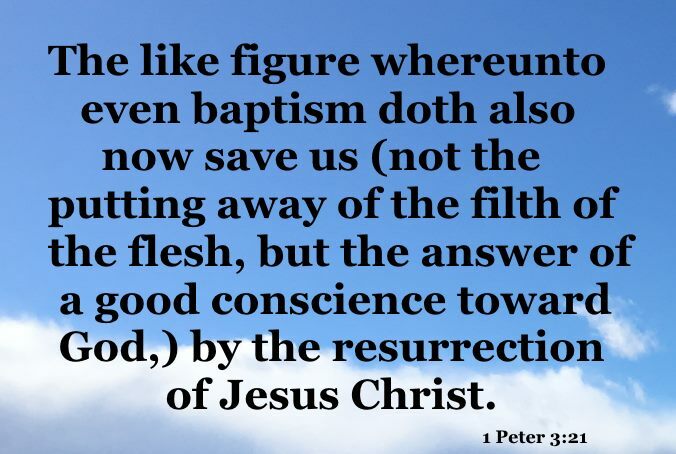 The like figure whereunto even baptism doth also now save us (not the putting away of the filth of the flesh, but the answer of a good conscience toward God,) by the resurrection of Jesus Christ (1 Peter 3:21). For more on baptism, go here. 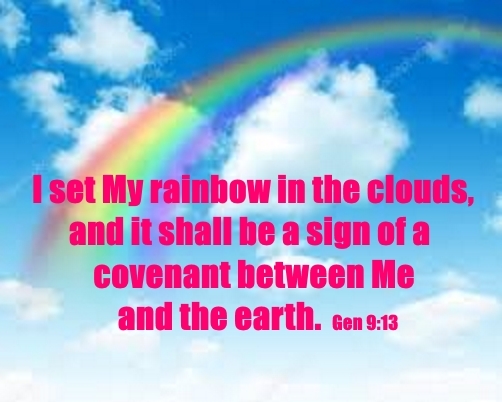 And it shall come to pass, when I bring a cloud over the earth, that the bow shall be seen in the cloud: And I will remember my covenant, which is between me and you and every living creature of all flesh; and the waters shall no more become a flood to destroy all flesh (Genesis 9:14-15). Personally, I believe that the Genesis flood or deluge happened because it is in the Bible. I have complete faith in the Word of God. Having said that, I love to read books that prove that the Word is the truth. One of those books is entitled the Genesis Flood. Amazon's description of the book is "Over fifty years ago, Henry Morris and John Whitcomb joined together to write a controversial book that sparked dialogue and debate on Darwin and Jesus, science and the Bible, evolution and creation—culminating in what would later be called the birth of the modern creation science movement." For believers as well as non-believers, this book will give you tremendous insight about Creation and the power of God's right hand.